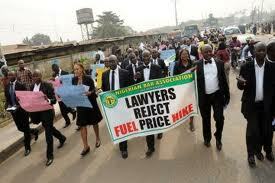 Fuel Subsidy: Review not Removal – A Call for an Expanded Objective ….by Aja N. Aja, esq. I was still in bed early this morning when my phone rang. A friend was on the line from Lagos and he wanted to confirm a rumour making the rounds that the Federal Government had backed down and reverted to the old pimp price for fuel I instinctively hollered GOD FORBID. It may sound ironical but I really want a reversal of the removal but definitely not before the nationwide protest had begun. This confrontation between the people and the establishment is long overdue so that we know once and for all who owns this entity called Nigeria, and from which direction legitimacy flows. It will by and large signpost the direction governance will subsequently take and reiterate the primacy of popular opinion in the articulation of government policies. Of course some may argue that the government conceding a reversal of the atrocious removal even before the mass protest will be a sufficient demonstration of the supremacy of the people; I agree totally. However, the protests have assumed so huge a profile that it can and must accommodate larger and more fundamental issues and objectives rather than just the reversal of the New Year gaffe. I do not have enough conclusive facts to conclude that subsidy exists or not. Several distinguished commentators and analysts have argued on both sides of the coin. However, I will use the view that it exists as a working assumption. By the texture of the government’s position, it appears, and strongly too, that there is fundamentally nothing wrong with the economics of subsidizing petroleum products. 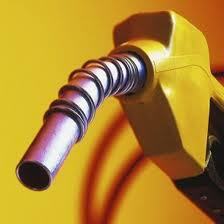 The removal is rather predicated on the existence of a so-called cabal which has been feeding fat on subsidy. The government has been consistent in saying that the true beneficiary of subsidy is the cabal and not the masses for whom it is theoretically intended. If this be taken as true gospel, then the job is simplified since the word CABAL in this context is not a description at large but refers to known persons and corporations, thanks to the Senate Public Hearing. The government has sought to project its position on the mantra that it is far more just, equitable and sustainable to retrieve the subsidy money from the cabals and deploy same for the good of the people. Very noble and patriotic intentions, I must say. The money of the nation must be used in uplifting the nation through the provision of the necessary infrastructure. The government also insists that this coup against the Cabal must of necessity inflict hardship on the people. That is just where I disagree. The Cabal can be cannibalized without necessarily smothering the very people it is meant to serve. Cabal can be cannibalized without necessarily smothering the very people it is meant to serve. Now, let us look at it this way. If those who import refined petrol, and who are classified as constituting the cabal, receive just returns for the services they render, then the government will not be justified in reviling them and seeking to run them out of business. However, the very fact that the government wishes to dismantle them by removing subsidy suggests that the cabal benefits from a system warped beyond acceptance. In effect, it is the system that needs cleansing and not the cabal. It must also not be forgotten that whatever the cabal does is done in collaboration and collusion with top government officials. So the issue of corruption rears its ugly head again. There is no argument that corruption is the worst single headache Nigeria has. As long as corruption remains, no reform can work, and no matter how sincere the government is, every effort to save money and plough same to developing the economy will end fruitless. Nigeria has remained unenviable at the top of the Corruption Index, and this accounts for the near-impossibility of attracting foreign investors. It will amount to sheer Pyrrhic victory to remove subsidy and then have it go down the normal route. Therein lies the fundamental challenge facing the protesters: how to pull the institutionalized structures of graft down. Those who protest are super patriots. They are not just driven by the personal economic imperatives of the subsidy removal but by the larger picture of instilling accountability into the process of governance. It is immoral to suggest that they are paid agents of the cabal. In fact, we hate the cabal who have caused us so much pains and stolen so much from us. We truly hate them with a passion. So, calling for a reversal of the removal is not tantamount to acquiescing to the continued plunder of our treasury. 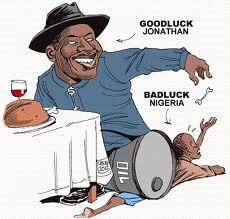 No, we are only saying that President Jonathan must not disrupt our already ragged life in order to bring FRESH AIR. Bringing back the subsidy may have provoked and coalesced the protest but bringing down corruption and installing an accountable and responsive government are the sacred objectives of the ongoing protests. 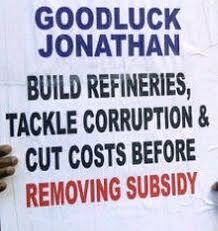 Let no one be deceived; fuel subsidy must be retained and reviewed. The government must demonstrate the will to sanitize the system even as it keeps faith with the collective demands and aspirations of the citizens. If it took less than N300 billion in 2007 to service subsidy, we are convinced that barring corruption in the system, sustaining the subsidy regime should not present a significant impediment to the TRANSFORMATION agenda of President Jonathan. If our local auditors and accountants cannot be trusted to help in cleansing this Aegean Stable, we may as well ask for outside help from reputable firms to look at the books, review the process and let Nigerians know where the rain started to beat us. So, let the cabal not rejoice; we are not fighting their battle but are coming for them. Let those who short-changed us in the privatization programme not be at ease; we shall revisit the matter. Let those who have mortgaged our power projects, who have benefitted from the stagnation of our steel mill programmes, who have converted their positions of trust into personal empires of rot be on their toes; the day of reckoning is here. The tide has turned and Nigerians now demand answers. We have come to believe that having an attitude of civil disobedience is also part of our civic responsibilities, and no religious difference, ethnic divides or political affiliations can stop this movement. Nigeria for Nigerians, that is the new mentality. If the President cannot extricate us from the grip of those who besmirch our collective fortunes, the least he can do is allow us to save ourselves. Aja N. Aja is a legal practitioner, human rights activist and a public affairs analyst. I totally agree. The OccupyNigeria Movement is not just protesting subsidy removal. That was just a trigger of the long awaited Nigerian Revolution we have since longed for. The Government just don’t get it. Maybe they do not read the text on placards and banners borne by the protesters. Our priorities should be addressed and the peaceful protest will naturally die down. I’m in for this long over due revolution. How and where do we begin? Right from day one have joined millions of Nigerians to wage media war against this sabotage and economic coup against Nigerians and think its the right time to take it to another level. Nigerian must be re-claimed for Nigerians. Long live our dear country! Long live my good people of Nigeria!! Nigerians wil no longer be fooled by words and persuasion of the ruling class. We dont need a prophet 2 prophies dat dis country is doomed. Subsidy is not d problem but shortchanging al our commönwhealth. A country where d state house clinic takes an allocation more than an entire L.G.A,yet our leaders purports a cut in their overhead. Its unbelievable and totally unjustifiable dat anarchy reign supreme while we have a president dat has no shoe . Infact,dz country is best described as a doomed country! the issue as you rightly observed is not the removal and or review of fuel subsidy , the major issue is the manner of governance – cost and implication in Government policies. which will inevitable bring low performance – performance measures in Government establishments / policies is not sustainable in the present circumstances. Good Article that one could easily comprehend. BUT as I always say, Goodluck has the will, he wants to transform Nigeria. There is no way he could achieve that without taking some ‘painful’ decisions which at the long-run, we’ll all live to harvest good fruits from. I always tell people that it is not always easy to be a leader. He said in his last national broadcast that he would have reacted the same way we do if he had not been on that seat. I am not his PA, neither am I his spokesman. But the truth should always been told: these so-called Cabals are the ones sponsoring these protests and strike, inciting people. Just an hour ago, about 13 people were confirmed dead in Bariga. 3 had died earlier today at Ogba in Lagos. God will judge all of them. But we shouldn’t allow our selves to be used by NLC and TUC to destroy the good intentions of the president.